Sharing company with the likes of George Balanchine and Jerome Robbins, Patricia Wilde will become the National Museum of Dance’s 56th Hall of Fame inductee on Aug. 13, in Saratoga Springs, New York. As part of the honor, the museum will curate an exhibit showcasing her more than 50-year career in dance with items ranging from performance photos to an old pair of pointe shoes, gathered by Wilde, her daughter, Anya Davis, PBT Costumier Janet Groom Campbell and others. Davis will join Wilde for the Hall of Fame induction, along with Wilde’s son, Youri Bardyguine, and her two grandsons, Nicholas and Alexei Bardyguine. Nicknamed Balanchine’s “allegro ballerina,” Patricia Wilde’s career blossomed during a golden age of dance.It launched at age 14 with Marquis de Cuevas Ballet International. It took new heights with the famed Ballet Russe of Monte Carlo, where she worked extensively with the man who would play an indelible role in the trajectory of her own career and of ballet’s 20th century evolution. George Balanchine. “In the beginning with Mr. Balanchine, he was not the god that he became later. He was a great friend to me, not a pal, but somebody that certainly I always respected,” she says. After retiring from the stage, Wilde directed the Harkness House of Ballet in New York, helped Balanchine establish the school for the Grand Theatre of Geneva, served as ballet mistress for American Ballet Theatre and as director of the American Ballet Theatre School. In 1982, she moved to Pittsburgh to become PBT’s artistic director. She’s called the city home ever since. During her 15 years at PBT, Wilde passed on the iconic Balanchine technique to another generation of dancers. She worked to diversify PBT’s repertoire, introducing Balanchine classics and commissioning new works from emerging choreographers. 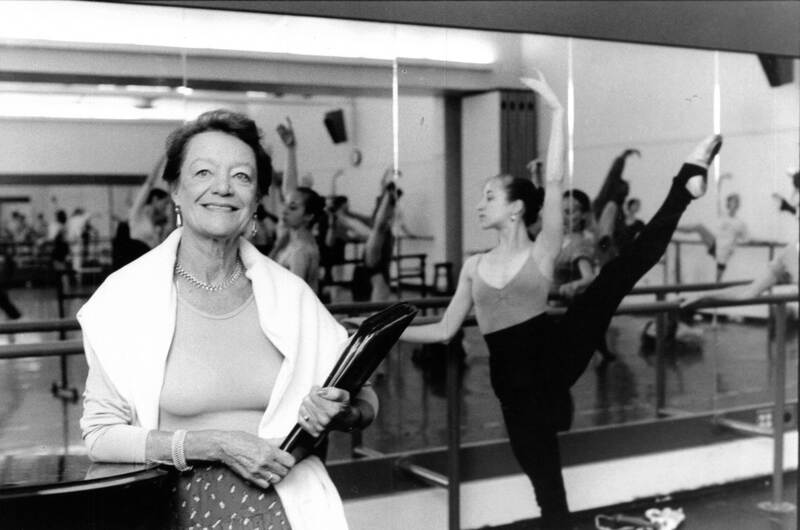 In 1997, she retired, passing the baton to a colleague from American Ballet Theatre: Terrence S. Orr. As Wilde looks back on her dance career, she recalls her first opening night performance of Balanchine’s Concerto Barocco at New York’s City Center – a defining moment in her more than 50-year career. “One of the things that I loved most dearly was Concerto Barocco. I suppose it is because it was one of the first major things and it’s just such a perfect work of art. When I did Swan Lake and Firebird and Sylvia and all of those things, they were exciting and rewarding. You felt yourself trying always to bring something new to each ballet, but I can still feel the Concerto Barocco right in my muscles and bones. I could do it today. I can’t run down the street, but I think I could get my legs up if I just had that music going for me,” Wilde says. Wilde began dancing around age four when her older sister’s teacher invited her to try lessons. She would hang back on the barre, but when she was given the opportunity to dance on stage, she was full of life. At her first recital, Wilde’s dance teacher choreographed a part for her that involved languidly laying in a cradle for most up the show before springing up to polka around the stage at her cue. “Of course, I listened and I got out when I heard my music, and I polkaed around the stage with a grin. I guess I was really selling it. The audience loved it, so I went around a second time… and everybody was saying ‘Get back in the cradle! Get back in the cradle!’ I was hooked. That was the beginning of my career,” she says with a laugh. Wilde’s dream was to travel the world as a professional dancer, a feat she achieved. As a principal at NYCB, she completed eight international tours and performed nearly every principal role in the repertoire. She has performed in many of the world’s legendary theaters, including the Bolshoi, Kirov, La Scala, Covent Garden and Paris Opera. She vividly remembers one closing night at the Liceu in Barcelona after a month-long run. “[The audience] just would not stop applauding and stamping their feet. The stage was absolutely covered. You couldn’t even see the stage. There were flowers all over it. It was incredible. Doves flew. It was really quite amazing,” Wilde recalls. Wilde says she thinks young, up-and-coming choreographers are guiding ballet in an exciting direction and ballet instruction is better than ever. Founded in 1986, the National Museum of Dance is the only museum in the country dedicated entirely to the art of dance. The museum, located in Saratoga Spa State Park in New York, welcomes over 10,000 visitors annually, presents exhibitions each year, and offers a wide range of live performances, including opera, musicals, and theatrical works. Learn more here.